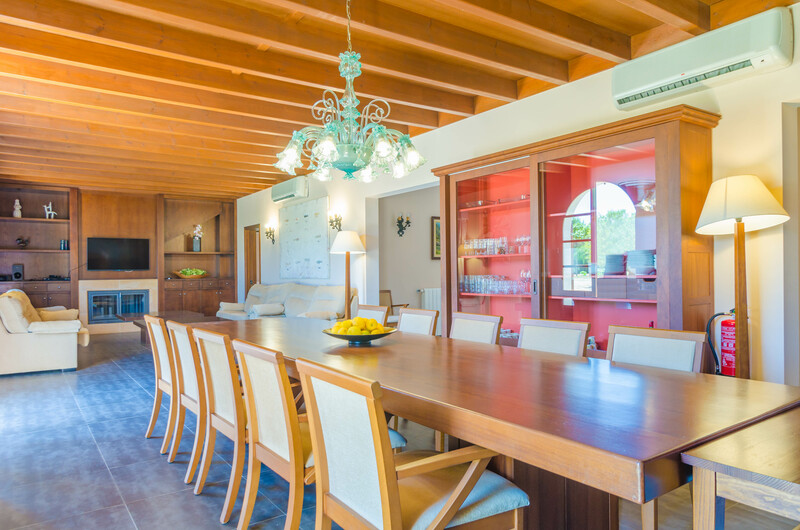 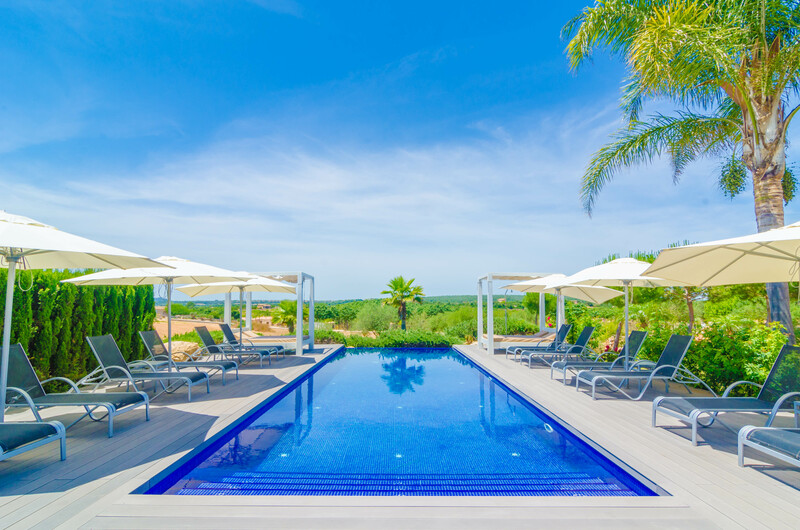 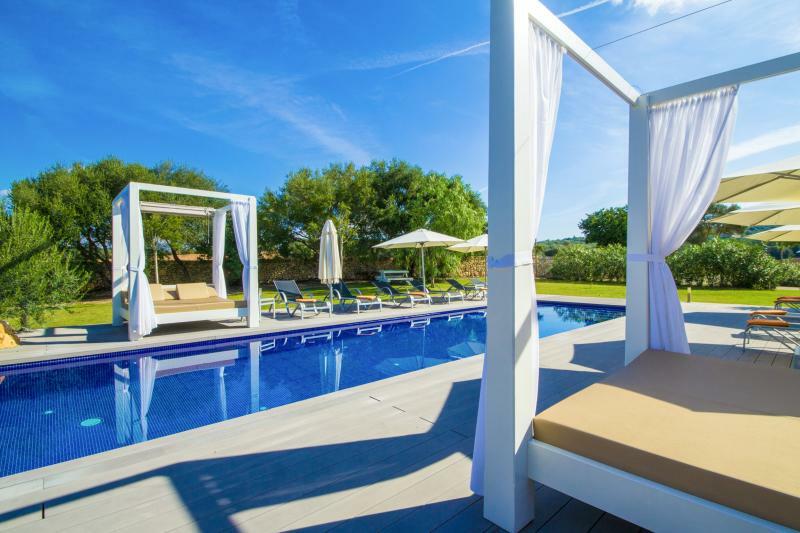 Welcome to this spectacularly luxurious villa with private pool on the outskirts of Manacor. 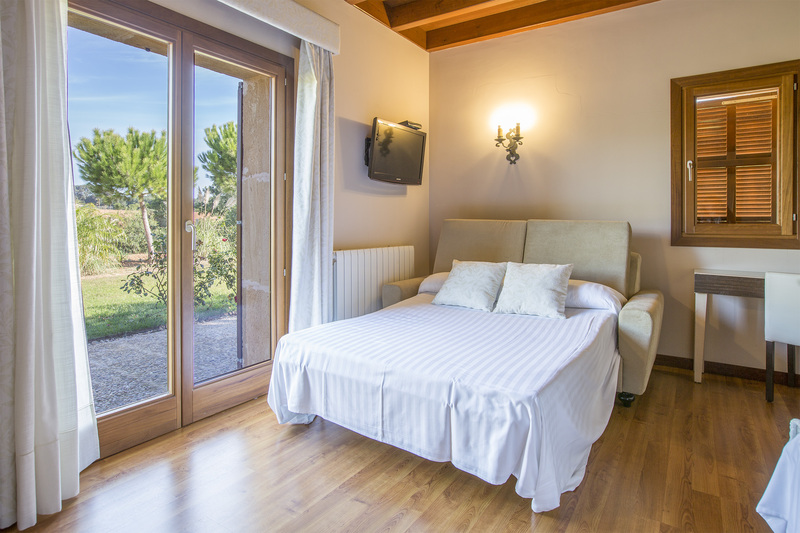 It is prepared for 14 persons, with possibility to sleep up to 18. 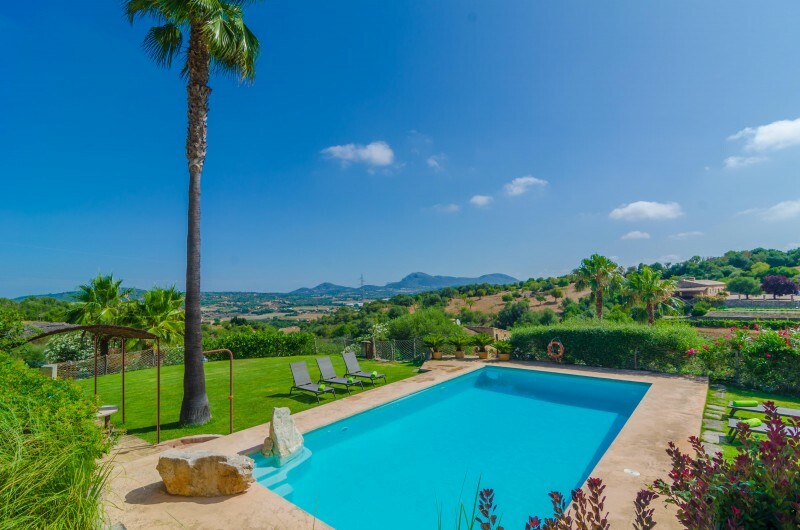 This wonderful finca offers a lot of peace and joy thanks to the spacious, spectacular and green garden areas surrounding the magnificent chlorine pool. 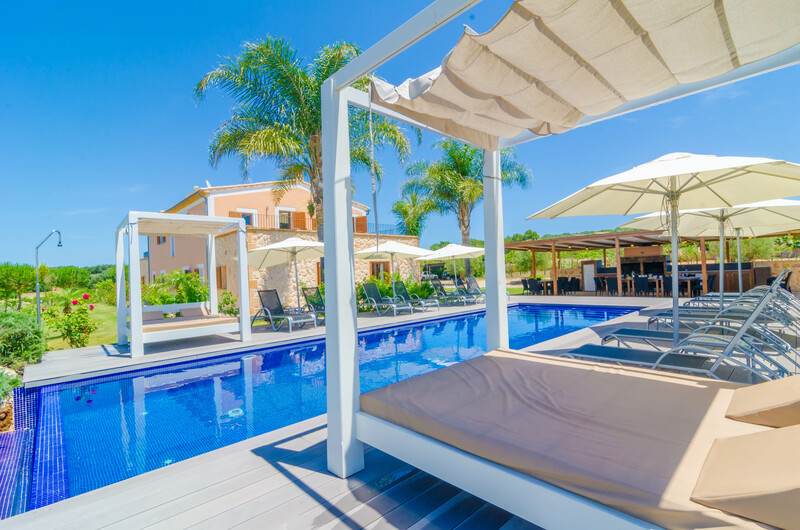 It sizes 10 x 4 metres and the water depth ranges from 1.2 to 1.8 metres and it's ideal to take a cool dip and later bask in the sun on one of the 20 sun loungers and Bali beds around. 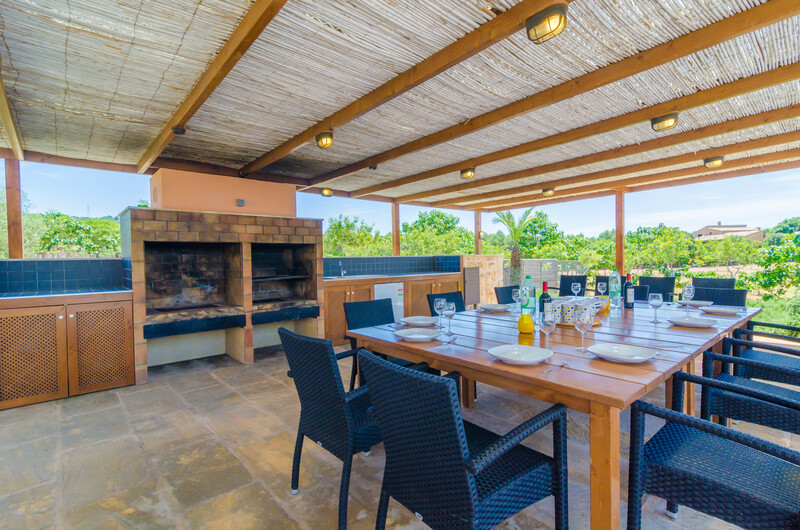 All of that with the best company of the natural environment. 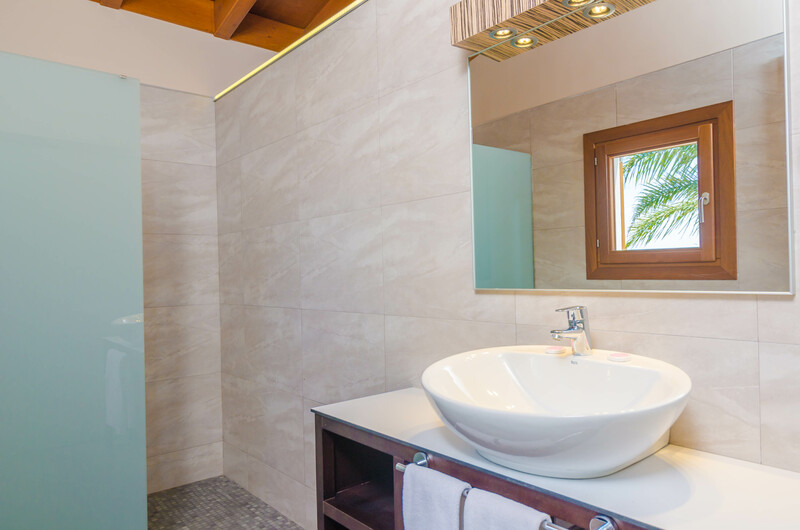 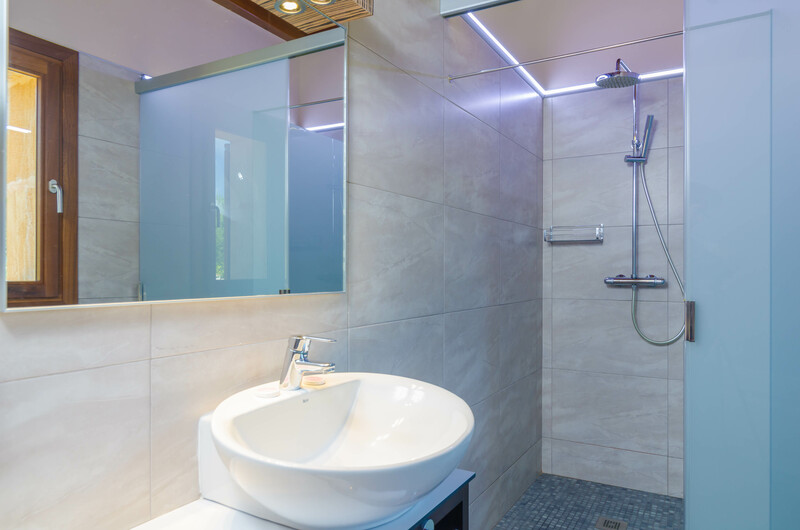 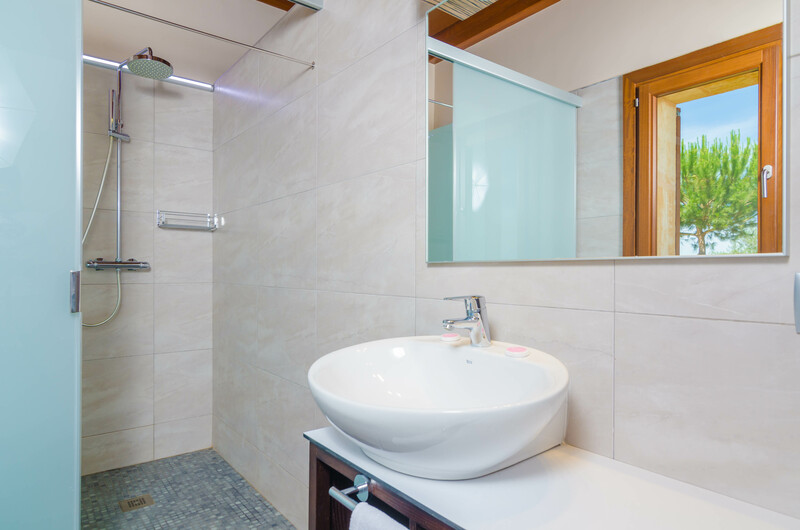 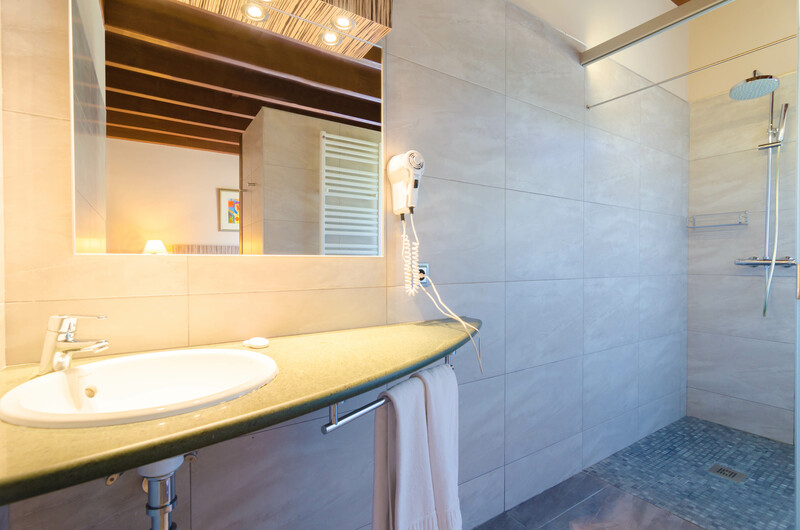 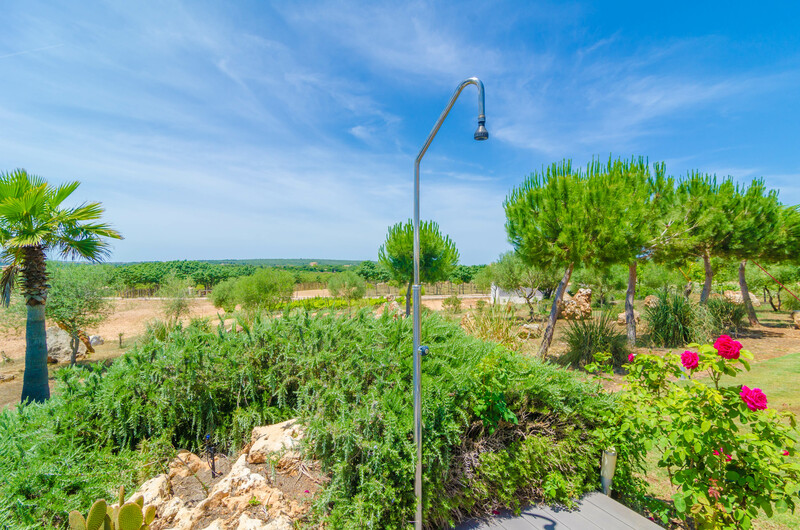 In addition, you can quickly cool down under the spray of the exterior shower if you prefer to hold on a while before the next dip after the great banquet at the porch, cooked on the barbecue. 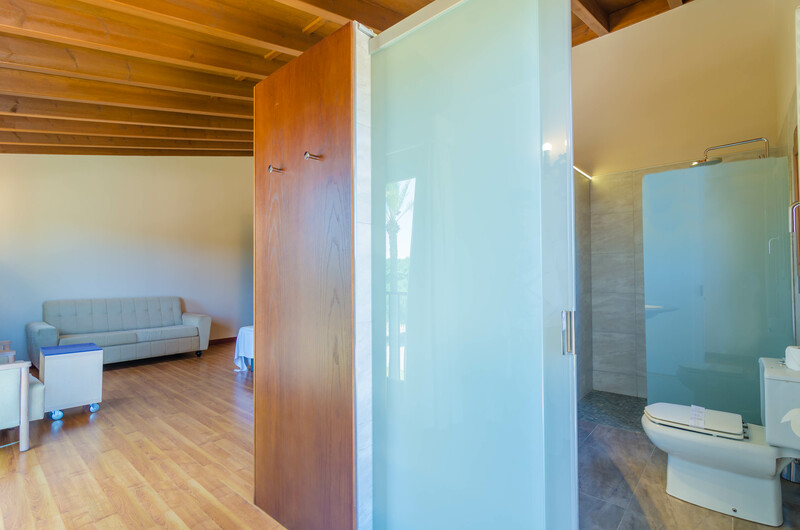 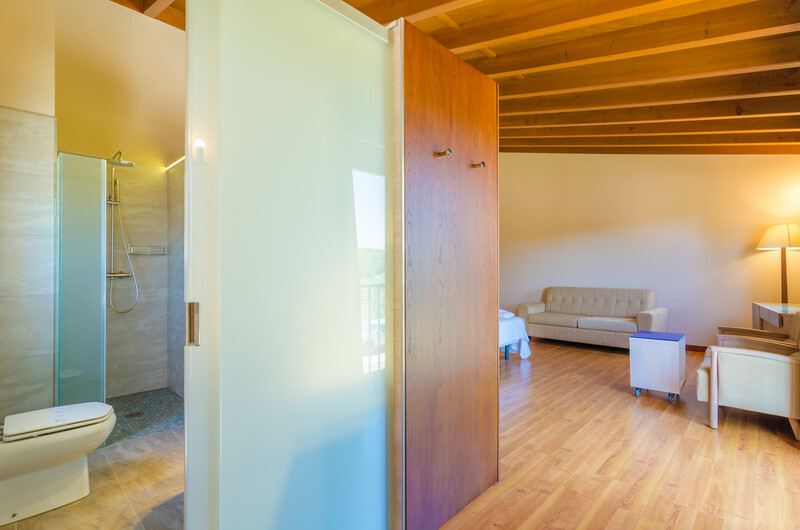 The finca offers total privacy despite it accommodates 3 houses inside. 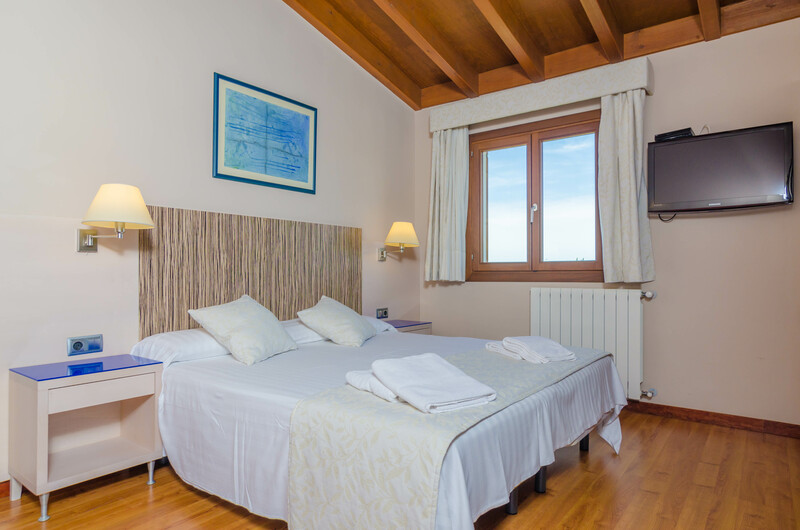 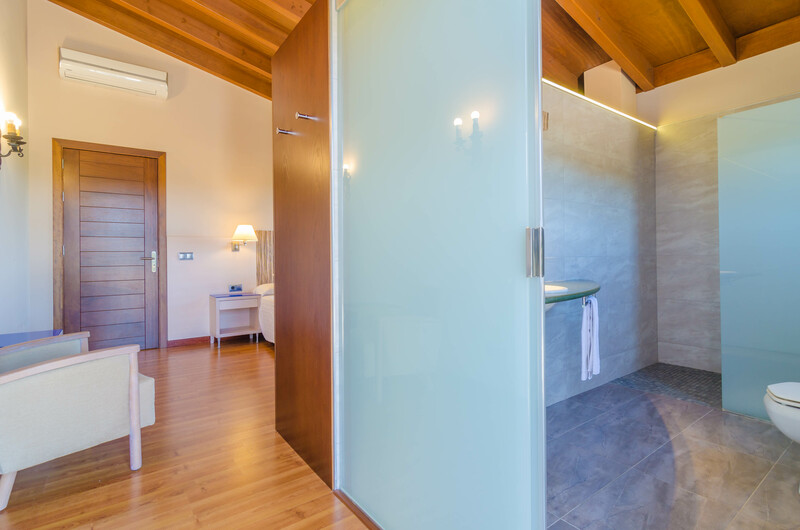 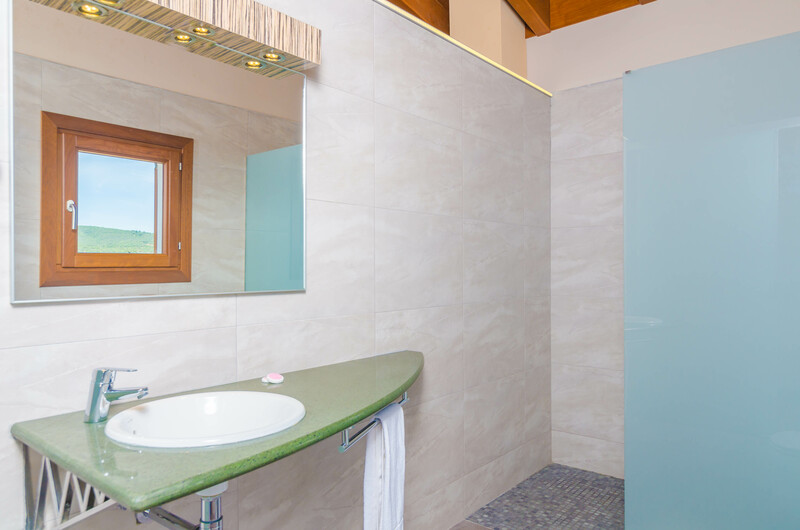 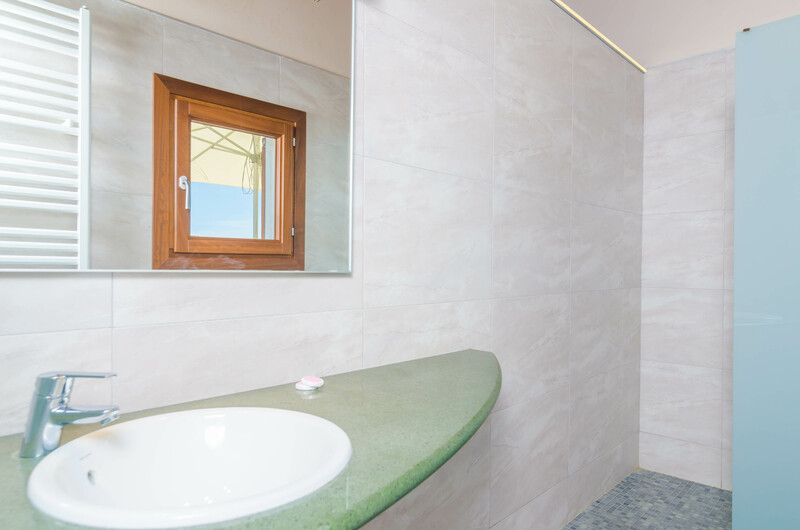 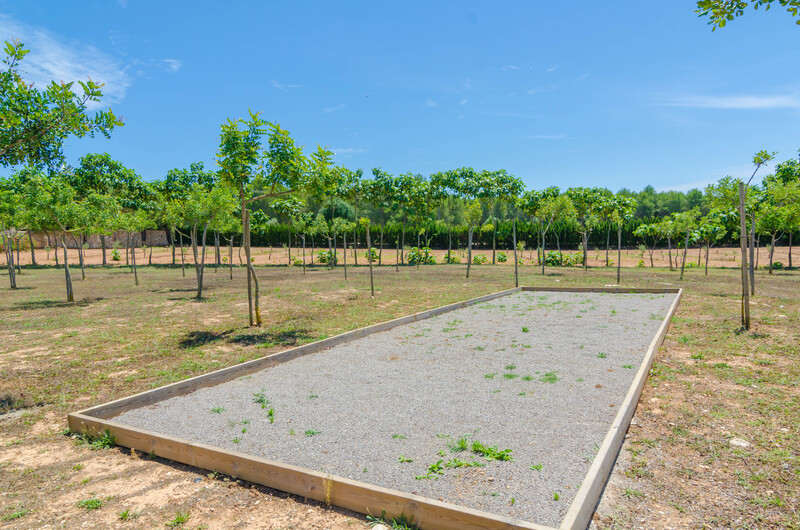 The path starting leads to each of them, but you will still enjoy your private space since the plot has more than 20.000 m2 that make that each of the accommodations is completely independent and in distance. 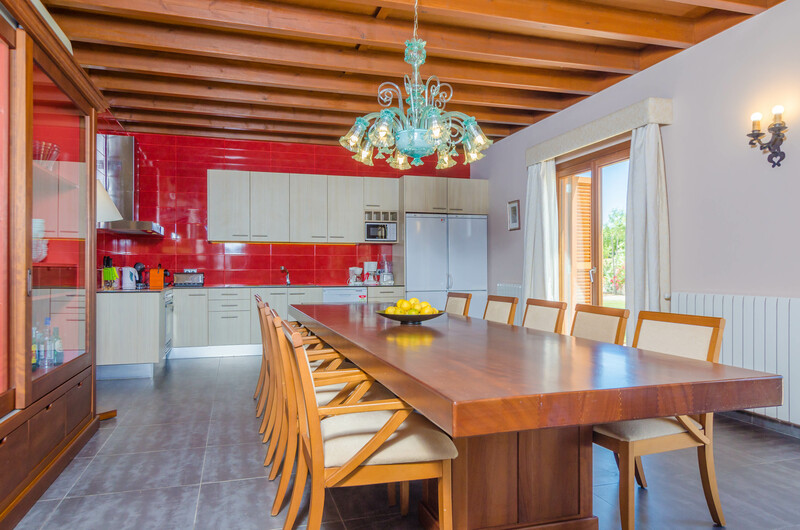 The house has 2 floors, offering a great air-conditioning open concept space where the kitchen, the dining and the living come all together. 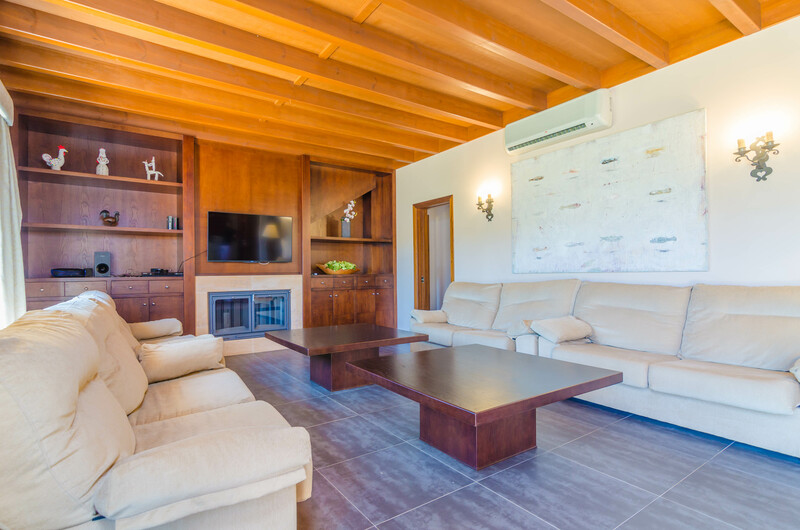 The living area invites to relax on any of its comfortable sofas, watching satellite TV or your favourite DVD movies. 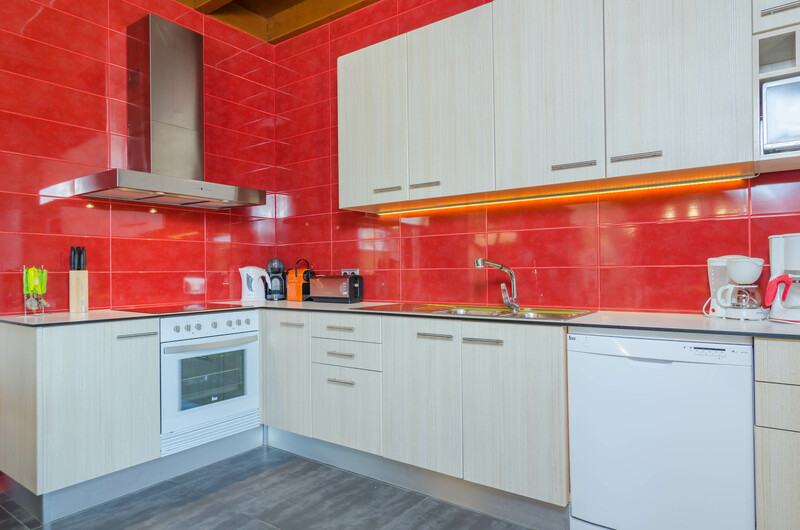 The kitchen is equipped with an electric oven, ceramic top, and all needed utensils to cook your best dishes. 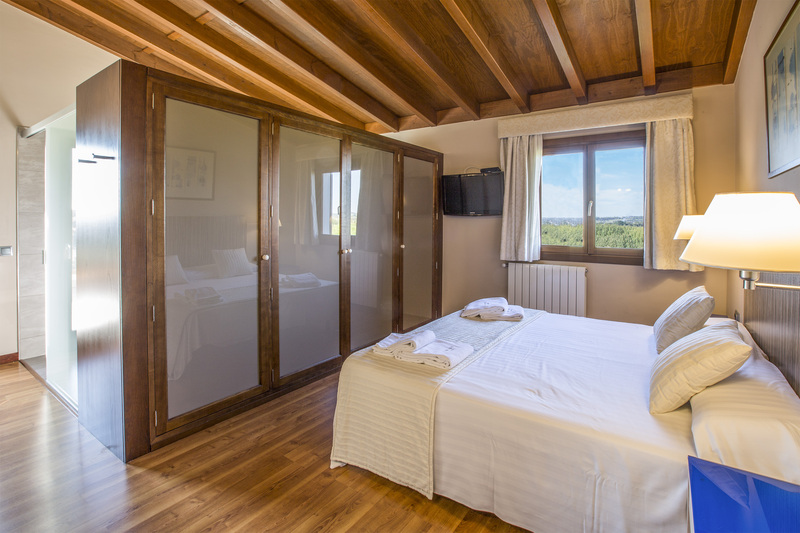 You will find a washing machine, a tumble dryer, an iron and an ironing boar in the laundry room. 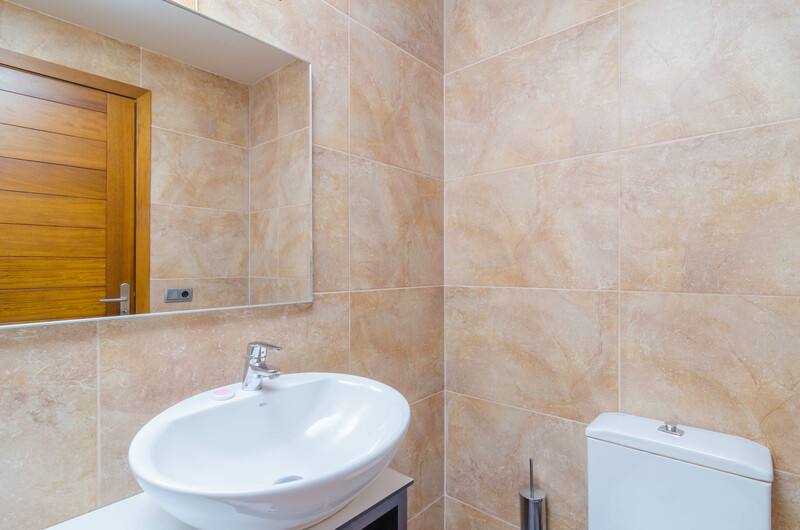 A toilet room completes this floor. 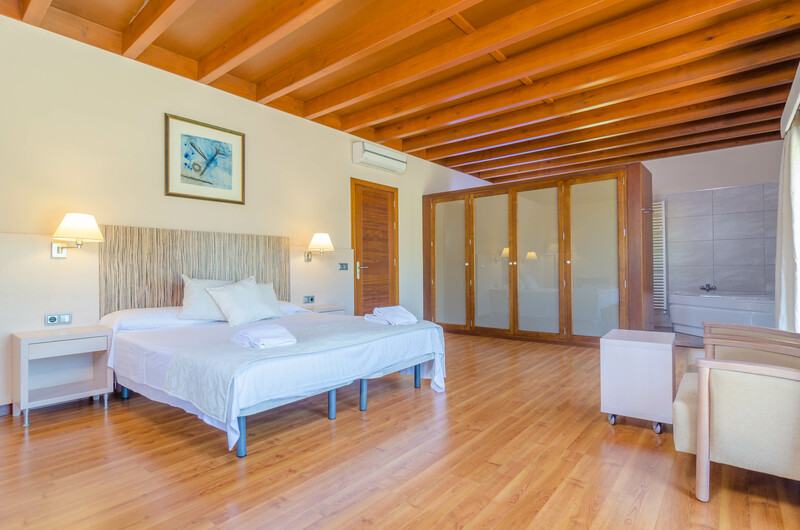 In the house, there are 7 bedrooms in total, all of them with two twin beds, a closet, AC and access to the garden or a terrace. 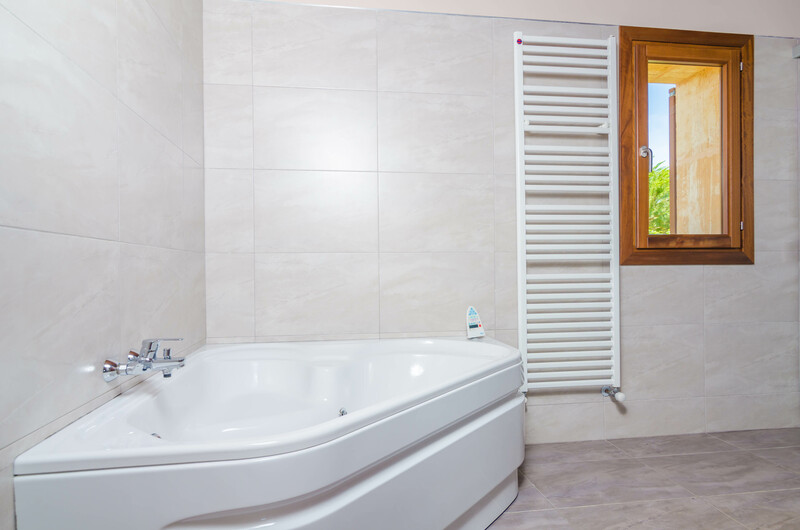 Three of them still are on the main floor, the three with an en-suite bathroom, one with a shower and the others with a jetted tub and independent shower. 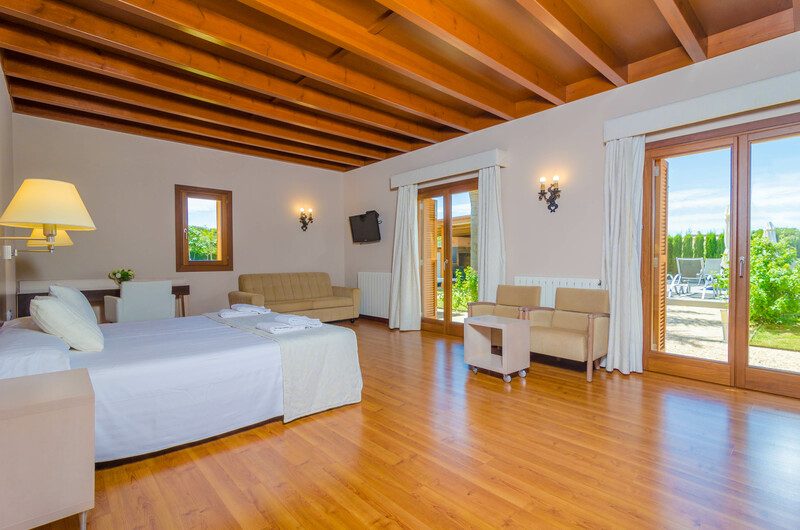 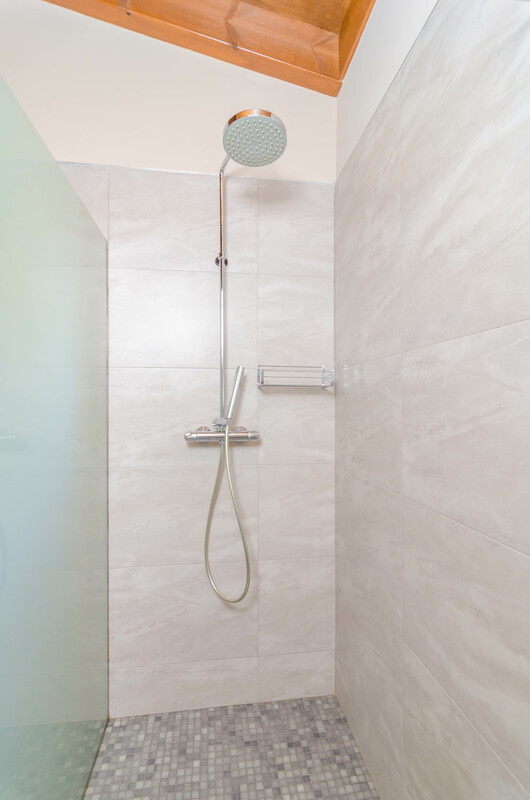 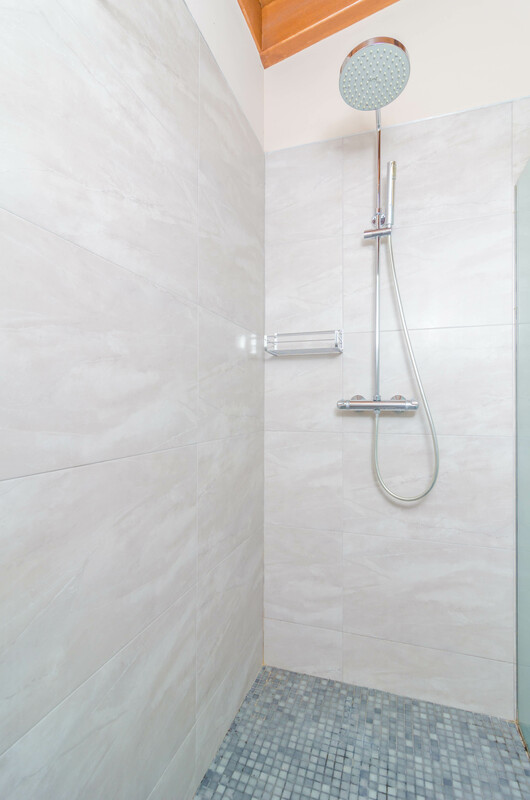 The rest of the bedrooms, that is 4 bedrooms, are on the first floor and they all offer an en-suite bathroom with a shower. 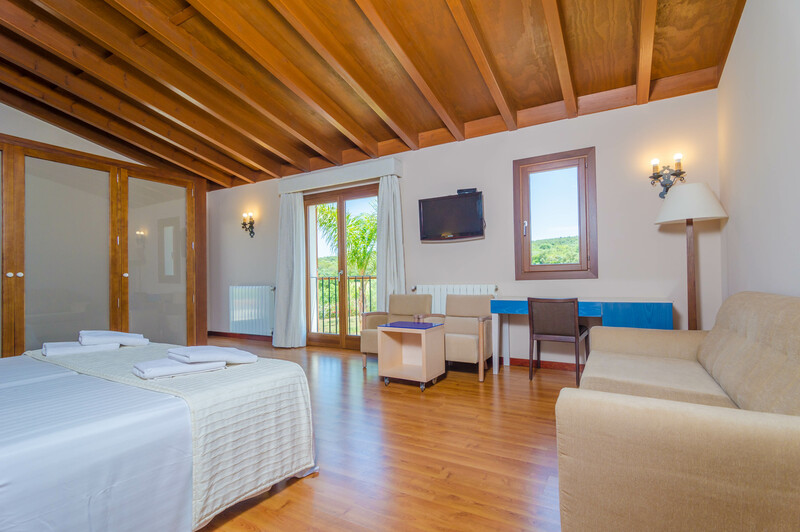 The 4 extra guests will sleep in folding beds or sofa beds, as you wish. 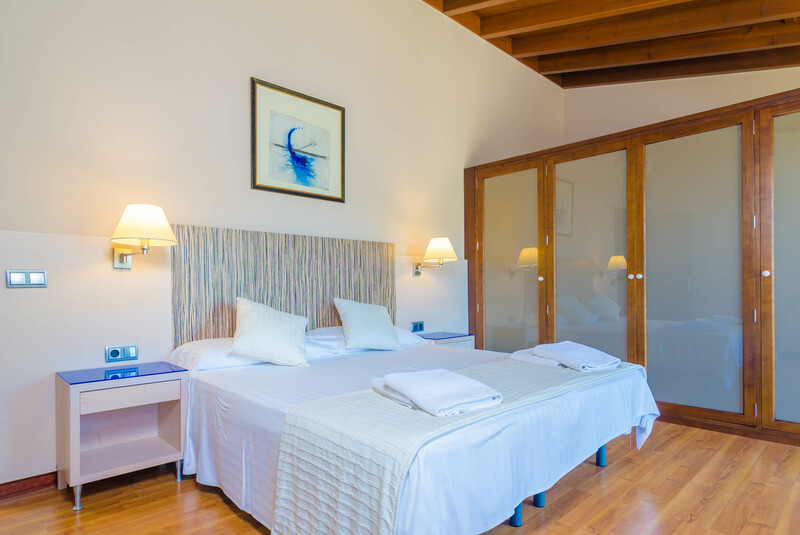 And, if you are travelling with your babies, we can prepare up to 4 cots and 4 high chairs. 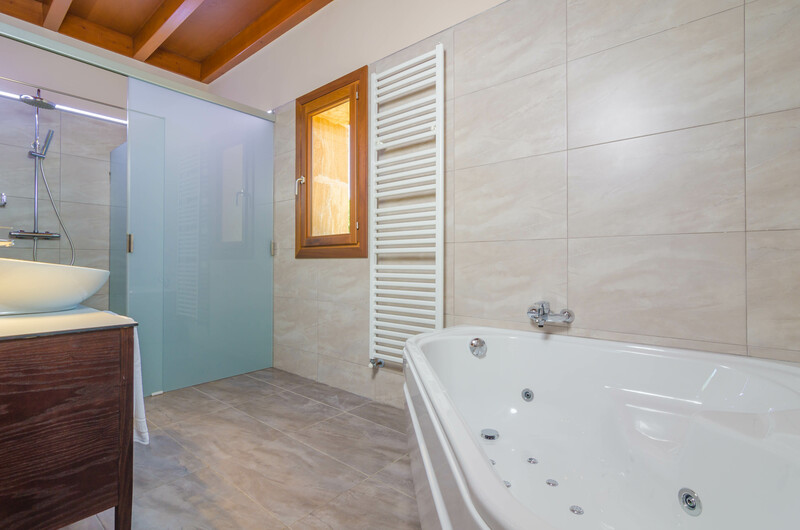 The house is equipped with oil central heating for the winter season, finally. 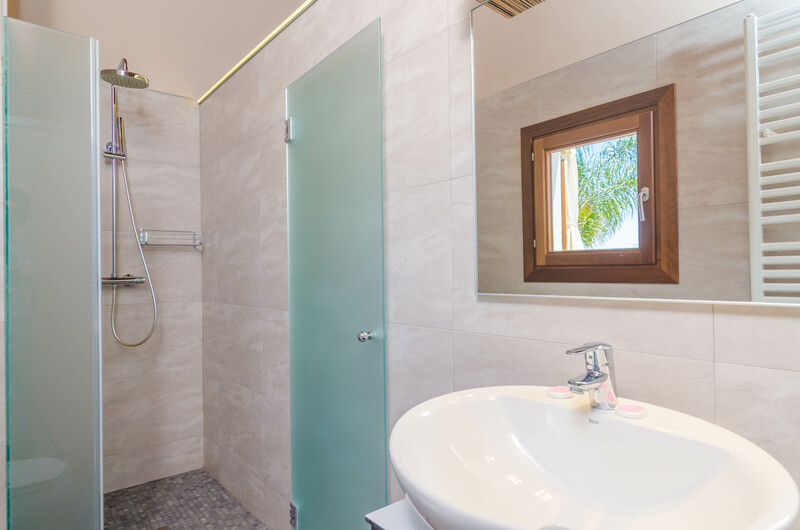 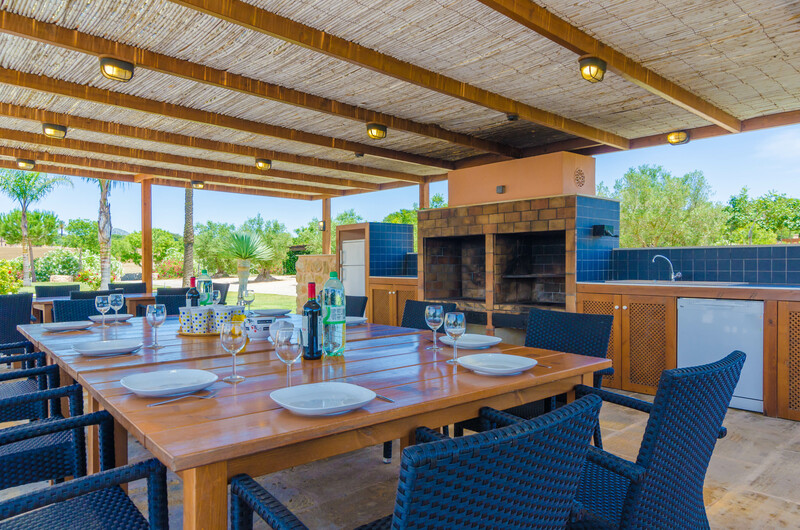 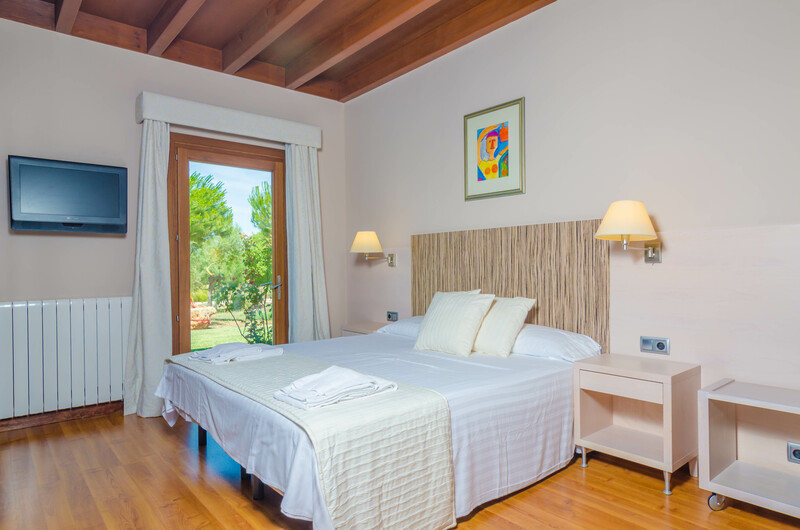 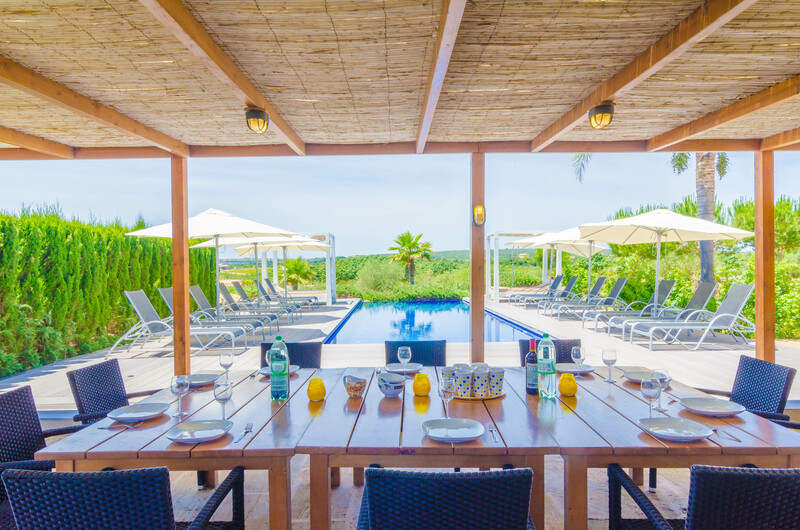 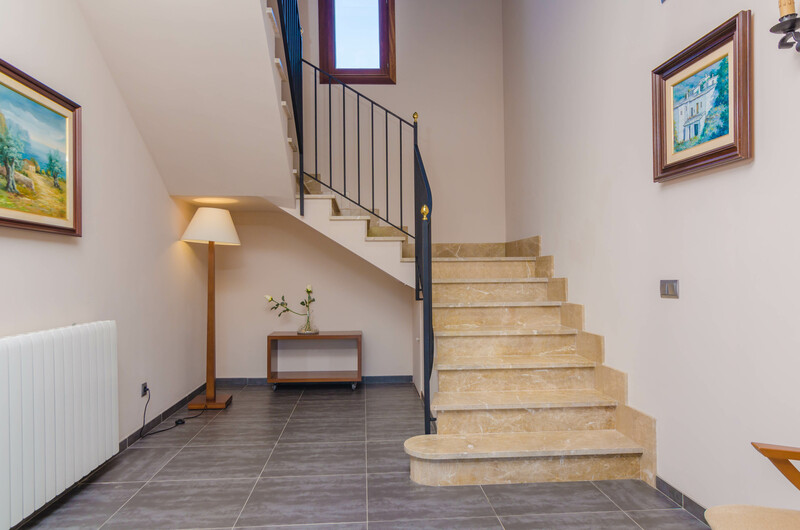 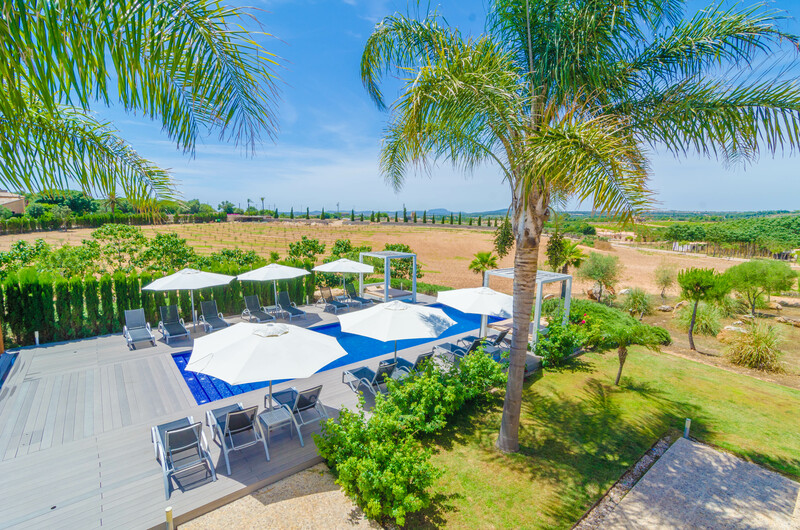 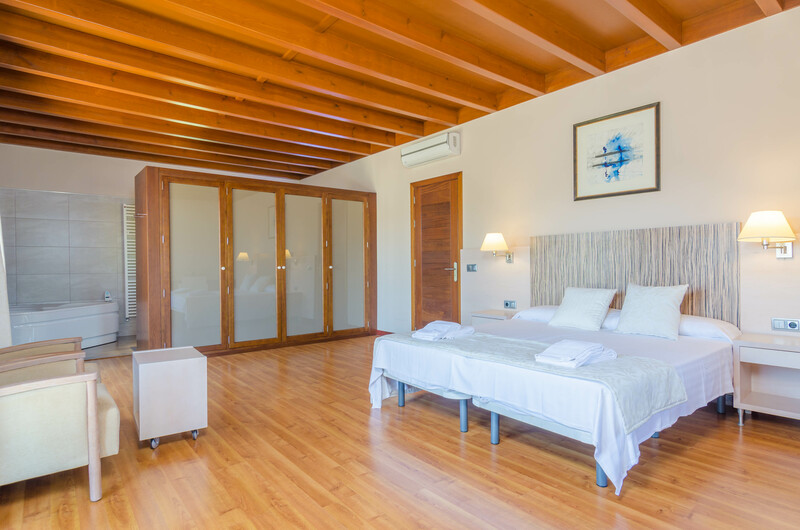 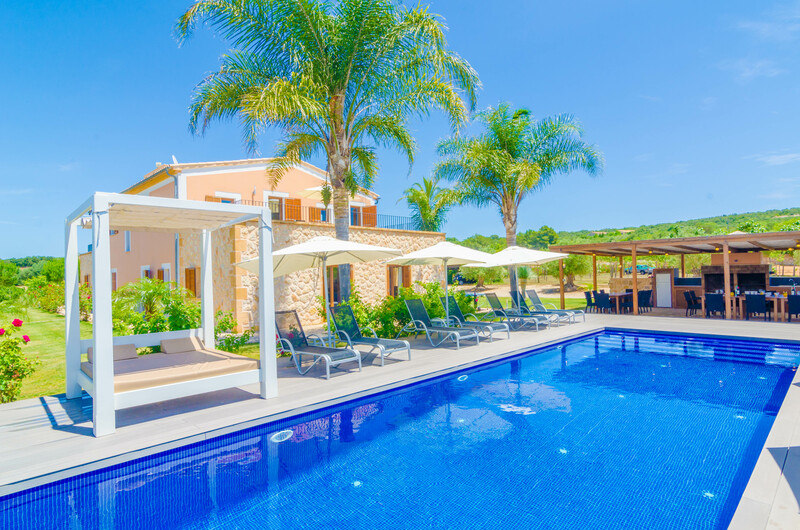 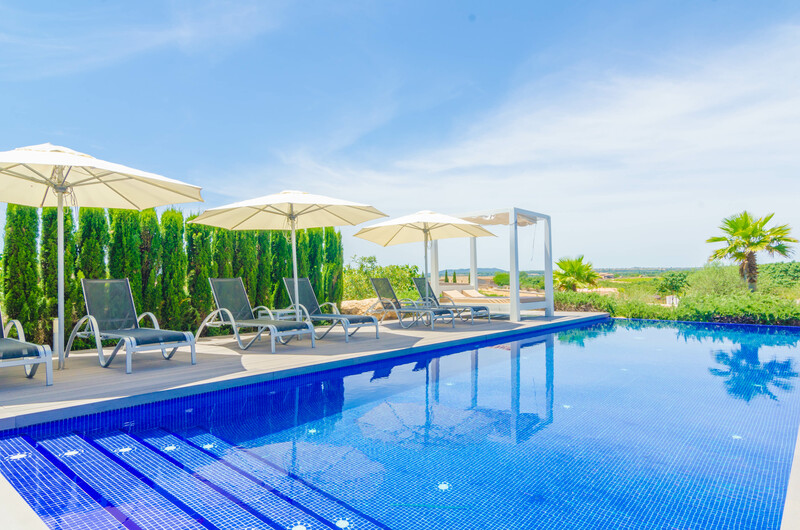 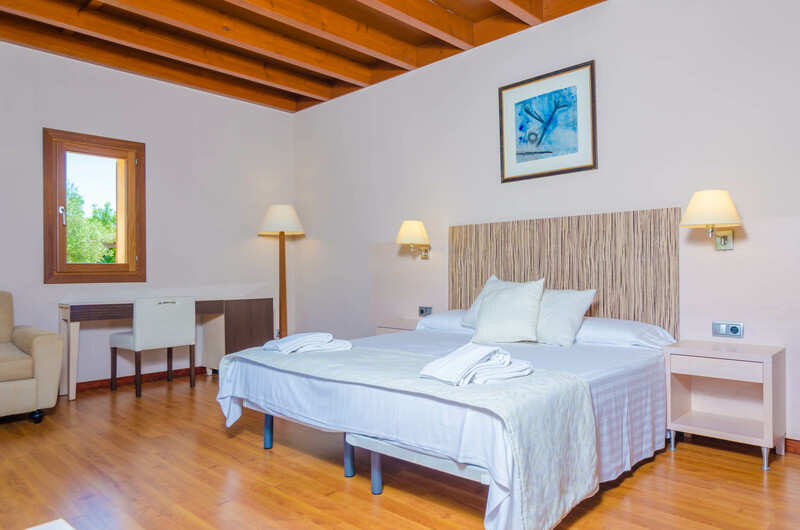 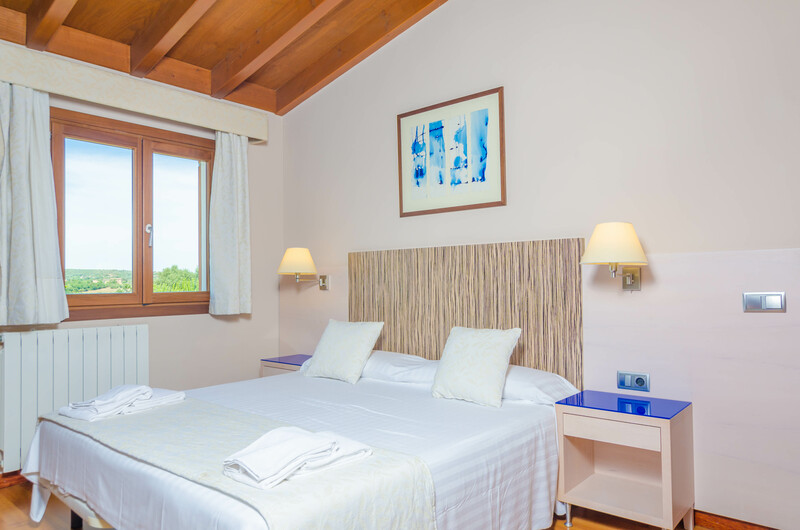 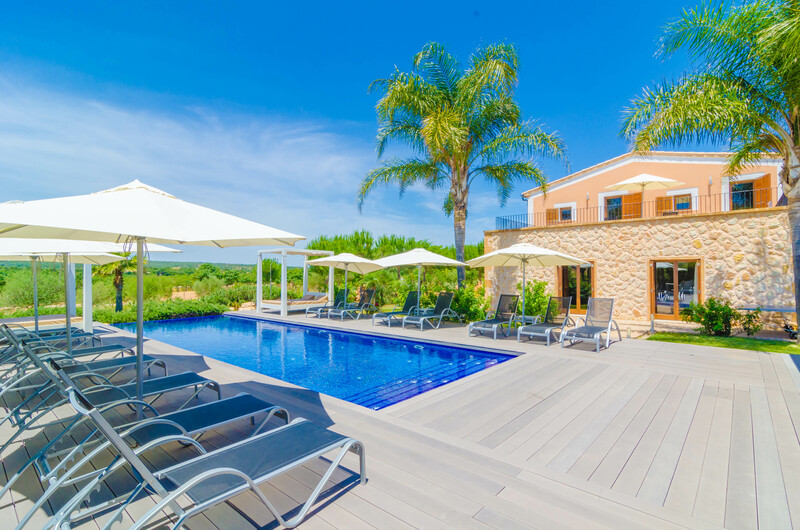 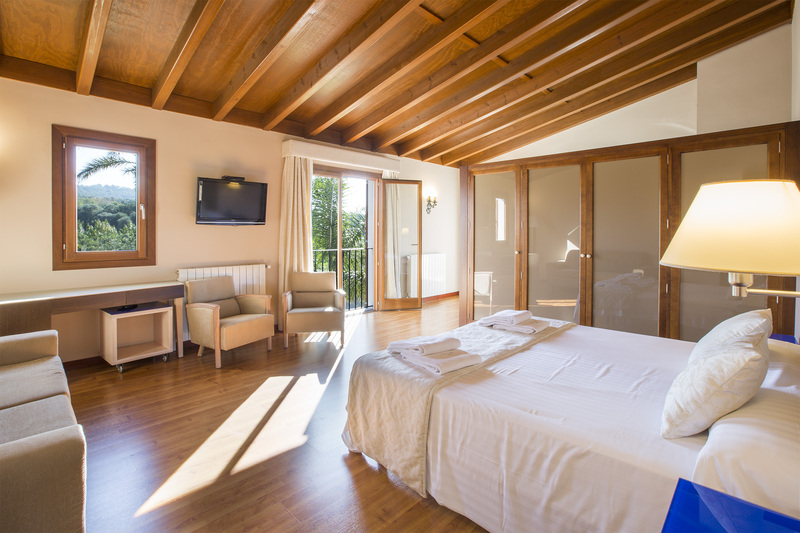 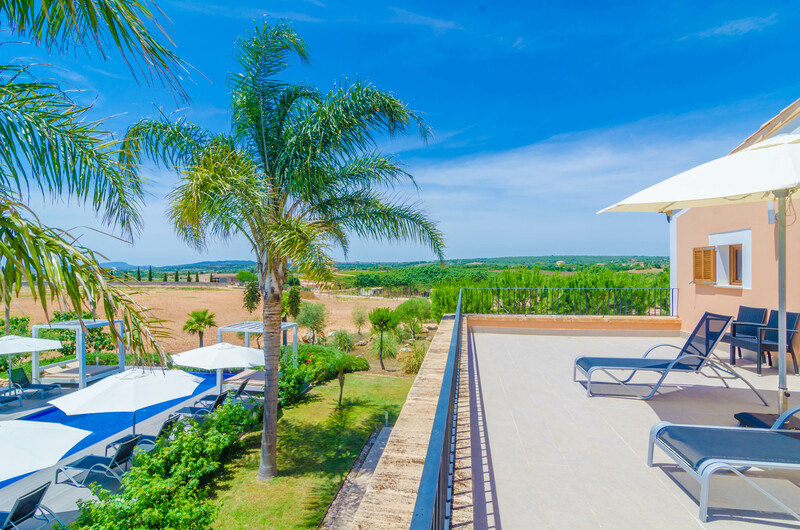 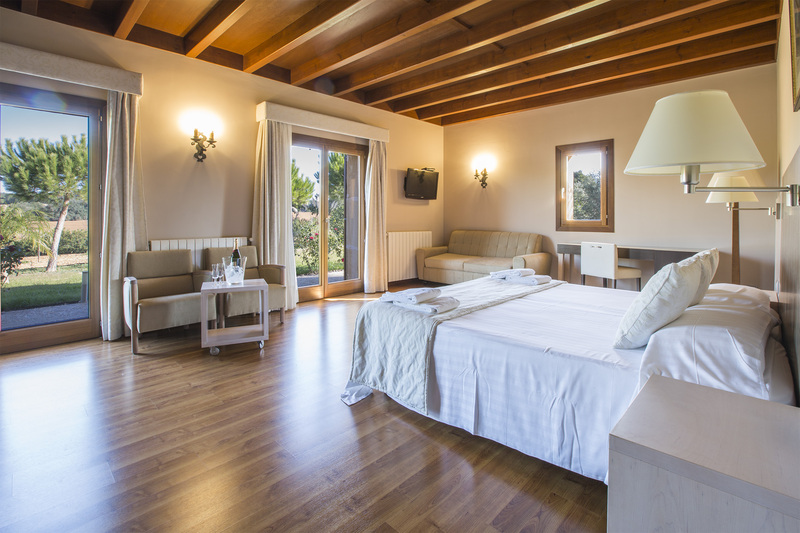 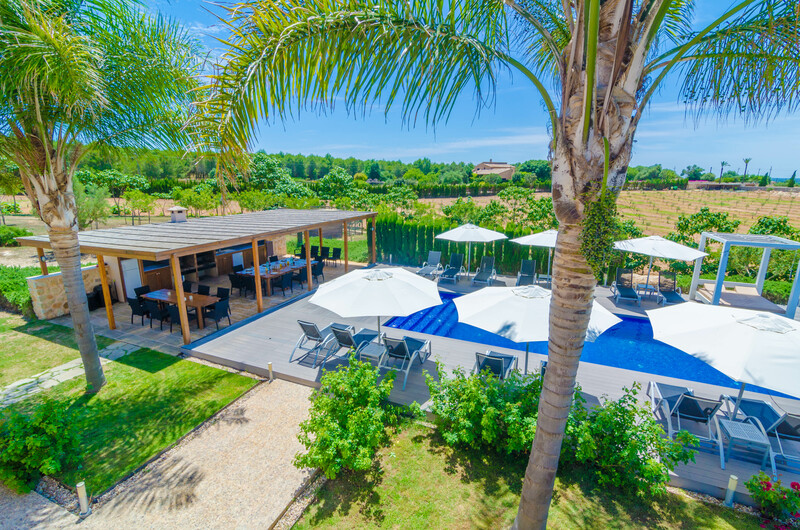 This finca is only 3.5 km away from Manacor, a little city where you will find all you need for your stay like bars, restaurants, shops and much more. 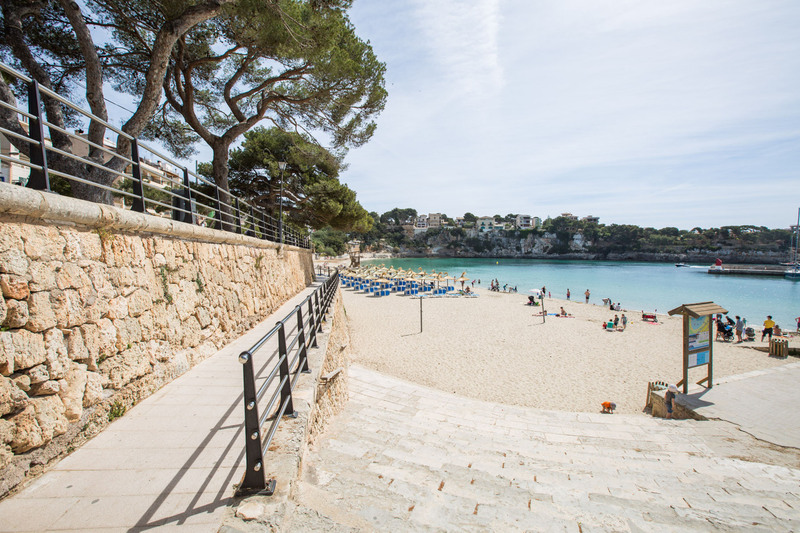 About 15 km away you reach the beaches of Portocristo, Cala Magraner or Calas de Mallorca, among many others, where you can spend a fantastic beach day. 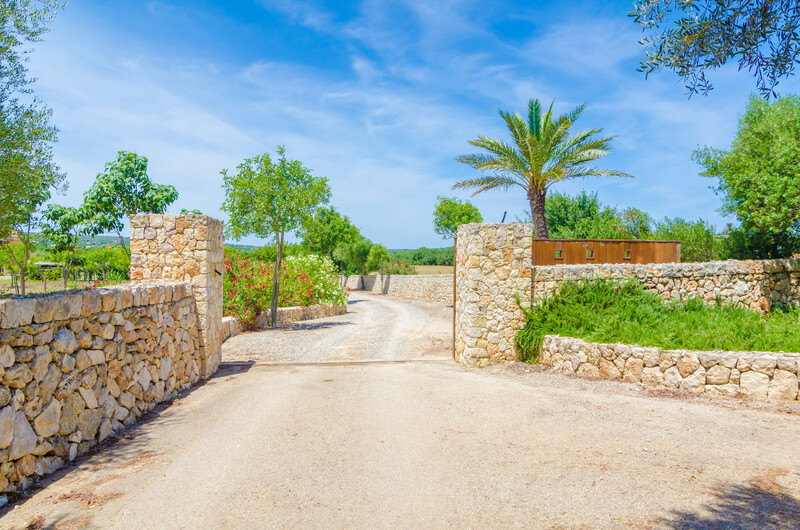 Portocolom or the Natural Park of Mondragó are quiet and authentic areas also worth a visit. 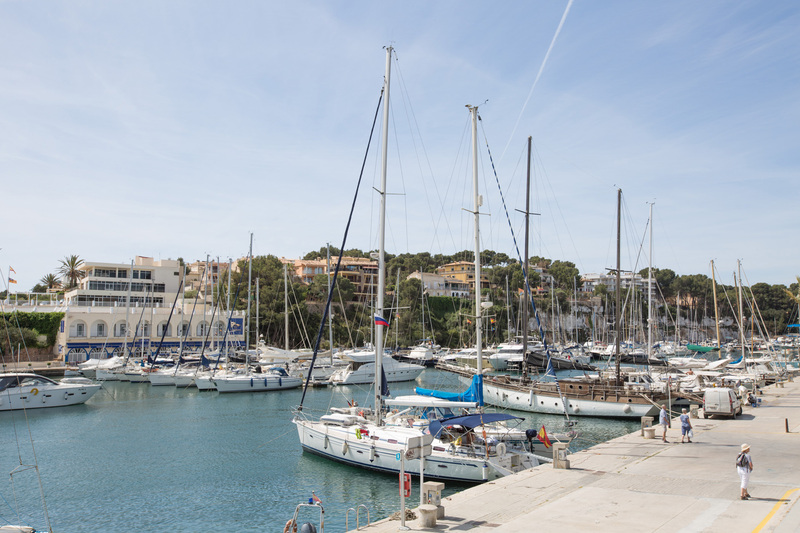 And of course, do not leave without coming to know the impressive and ancient Caves of Drach in Portocristo. 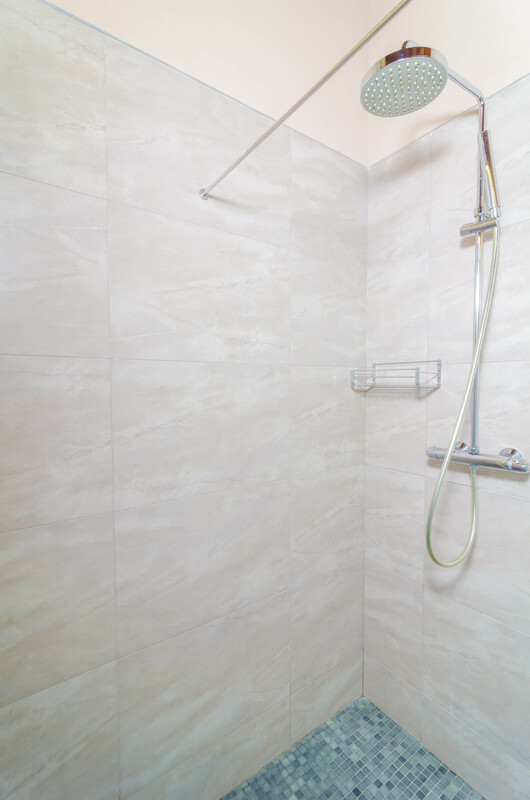 Contact the advertiser for any additional charges. 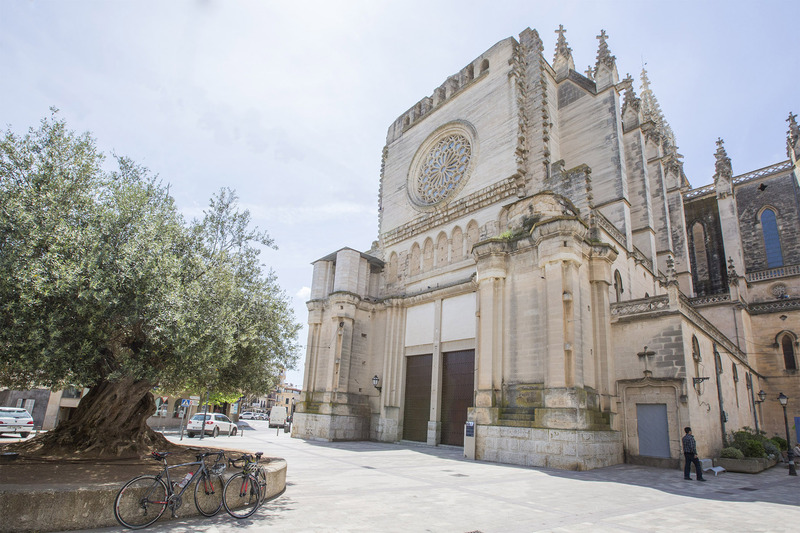 For celebration of events, please contact the advertiser.